Success Leasing – the highway to success! If you’re an operator who’s ready to reap the rewards of your hard work, then you better check this out! Success Leasing can lease you a tractor with no money down and no credit check. Prime, one of the largest and most successful trucking companies in America, can get you the miles you need to keep your truck running and your operation profitable. Success Leasing is the best in the business, and so is the equipment you’ll operate. We feature only state-of-the-art equipment, outfitted with the most advanced technology available. 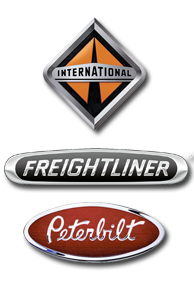 Prime’s modern fleet of refrigerated, flatbed and tanker trailers perfectly compliments Success Leasing’s equipment. To speak with the Prime Driver Recruiting Department, call 800-540-9252.